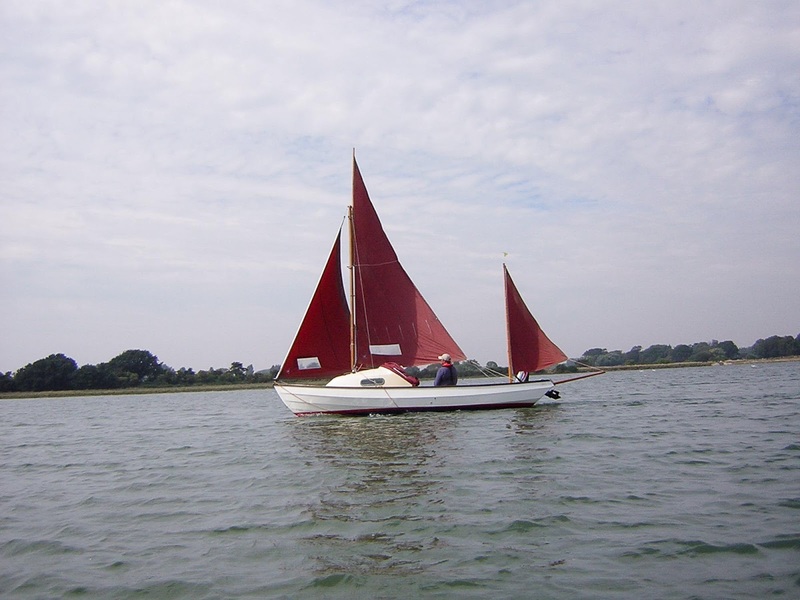 Chichester Harbour is a ideal place for small boat cruising. 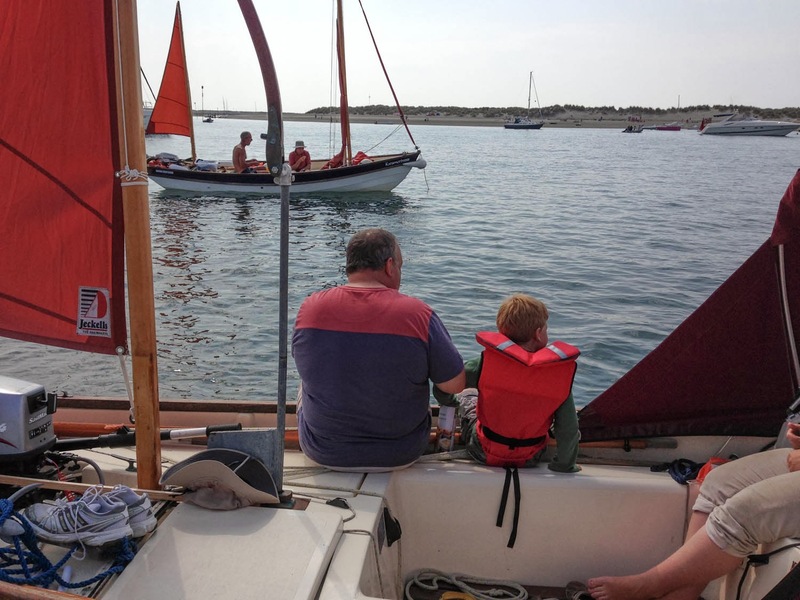 A number of Drascombe owners based themselves at the Marina and day sailed, over the August Bank Holiday. The Marina is very well equipped and a good price was negotiated for us, arriving on Thursday and departing Tuesday. As well as good sailing, an excellent number of social gatherings also took place. A full range of weather, from thunderstorms to blue sky was experienced. 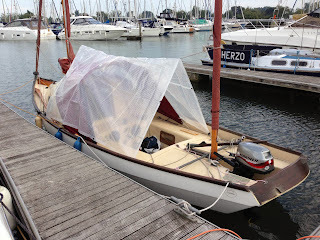 The sail through the moorings at Itchenor was a little close at times, as was the anchoring space off East Head on a sunny Bank Holiday Monday ! With the weather not always being sunny, I did find the opportunity to try out the tarp I'd bought. Although various designs of tent are available, non are cheap and many do not let in much light. 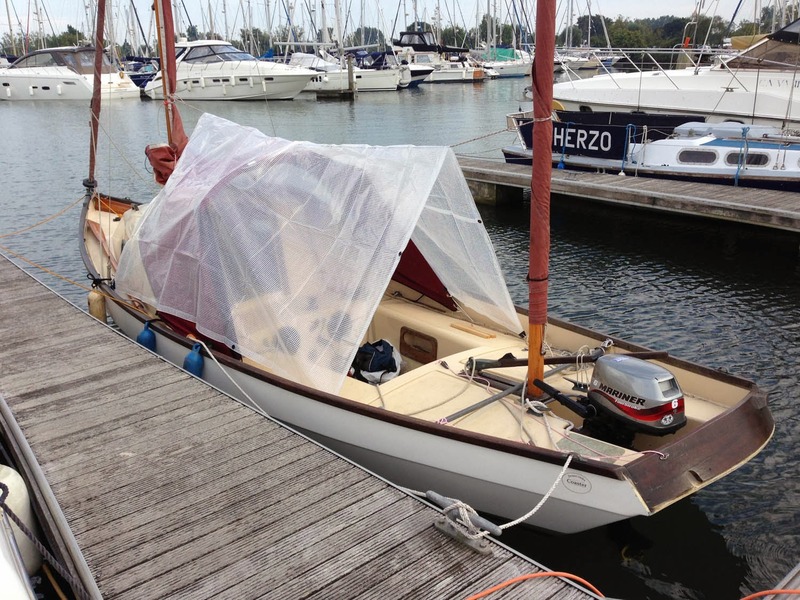 A transparent tarp from Bradshaws provided a simple solution, that provided more space and didn't darken the cabin. This meeting provided an excellent opportunity to discuss all things "Drascombe". It was clear that nylon rollers were not recommended, as they do not provide any cushioning for the boat, when it is loaded on the trailer. However, with the boat in the water, I raised the front roller by 1/2 inch. This seems to relieve some of the load on the centre roller. It seems to have helped, as it is now possible to push the boat off the trailer, when launching. 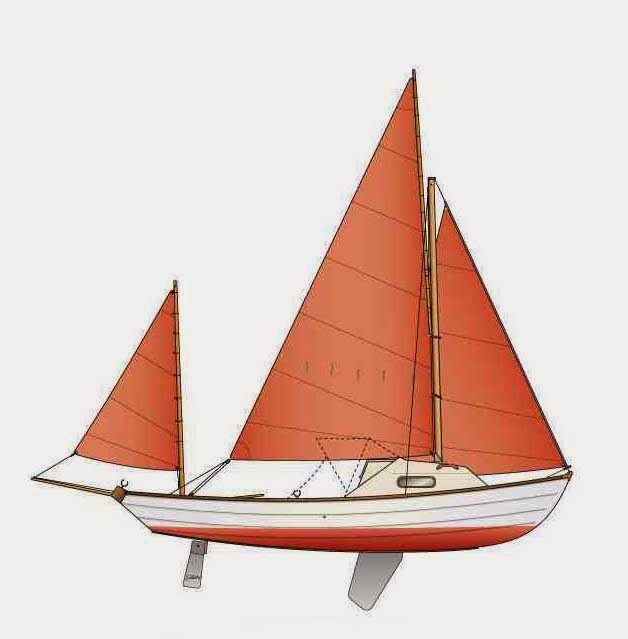 Previously there had been a need to initially "back winch" the boat when launching. Ullswater - Old Gaffers Assn.